When talking about German wine, the first thing that comes to mind is often the elegant Riesling from Mosel or Rheingau. 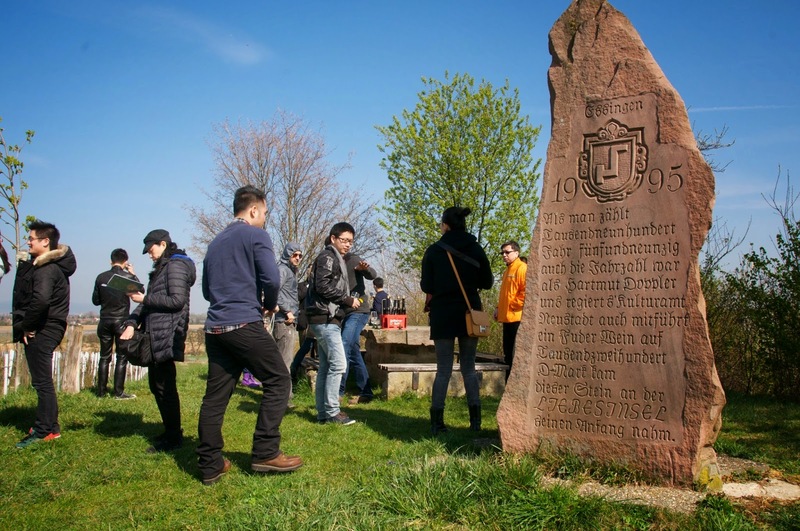 But actually there are a lot of hidden gems in the southern regions of Pfalz and Baden. I was delighted to see a few for myself during a recent trip there. Riesling, the flagship of German wine, is grown in the south but it tends to be the less sweet kinds because of the warmer weather. Acidity is not as high as in Mosel and hence doesn’t need the sugar to balance it. However, there is more than just Riesling here. The mild climate allows red grape varieties to flourish, the most notable being Pinot Noir (Spätburgunder), although Merlot and Cabinet Sauvignon are also grown. A family winery established in 1950 and run by three generations. 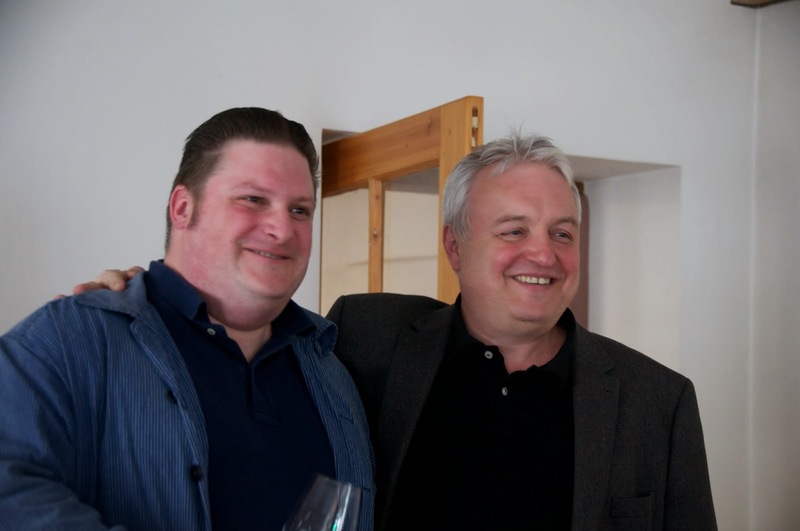 Grandson Dominik Glas is the one in charge of this 15ha vineyard located in Pfalz—considered the ‘Tuscany’ of Germany because of its mild climate. With a small production and limited resources, Dominik realised he should not spread himself too thin to cover all export markets so he focuses only on one, China. Bravo Dominik! And don’t think Dominik only makes half-serious wines! We had the privilege to try his Cuveé Red ‘Grand Reserve’ 2011, a new, not yet named, wine. It is a blend of Pinot Noir, Merlot and Dornfelder with ample black fruits supporting the vanilla and cinnamon from the new oak, while the tannin from Dornfelder provides the structure for ageing. Only two barrels (600 bottles were made). 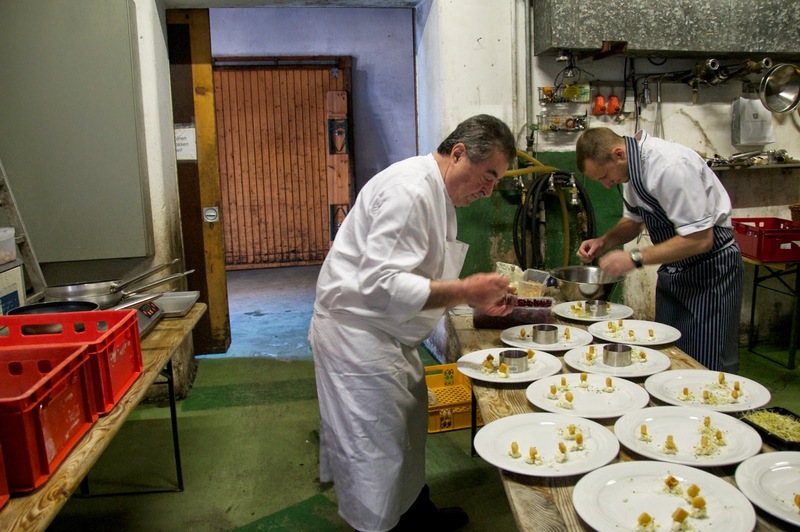 We were later taken in the back of his truck to the vineyard for a tasting of his eiswein with a view, and then treated to a homemade lunch by his parents. Their enthusiasm is visible everywhere. I wish them the best of luck in China! 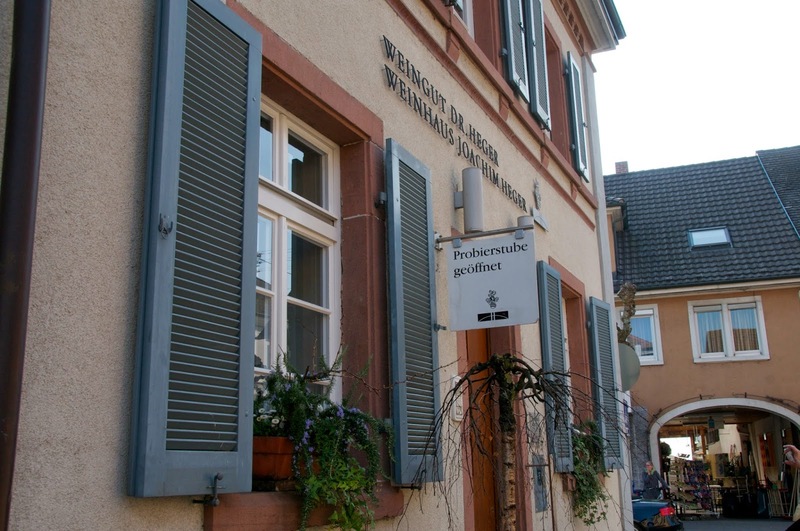 Another family winery also founded in 1950, the vineyard is located at Kaiserstuhl (Emperor’s Chair), a range hills of volcanic origins about 600m high. Owner Konrad Salwey first took us to the terraced vineyards via a steep and winding road where we were rewarded with a panoramic view and Konrad's explanation of the geography and soil type in the area, before returning to the cellar to taste samples from tank and barrel. The best and the most typical grapes in Baden are the Pinot family. 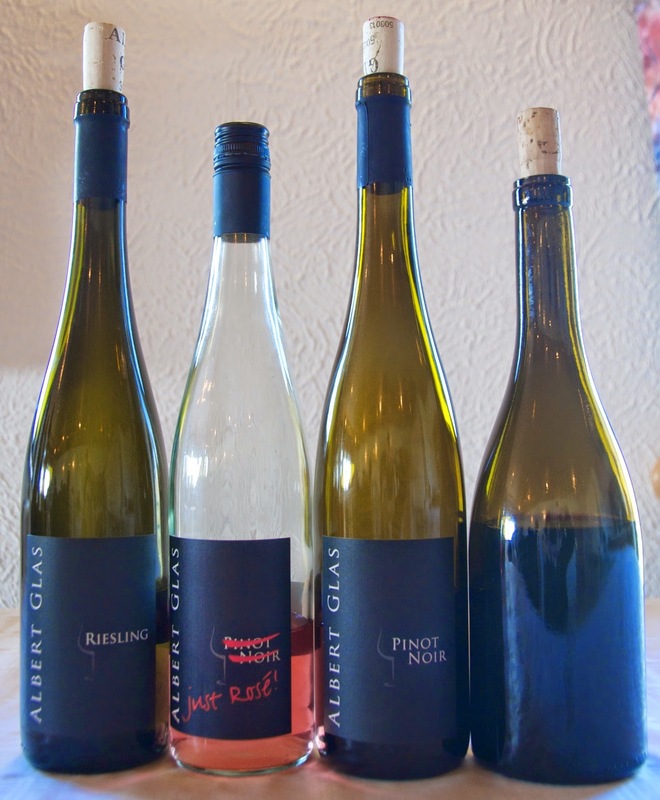 We tried tank samples of Pinot Gris (Grauburgunder) from different soils and it was just amazing how different they were. Loess lime soil, being more fertile, gives a more ripe fruit aroma while volcanic soil contributes a mineral character. This shows how much impact soil has on wine. 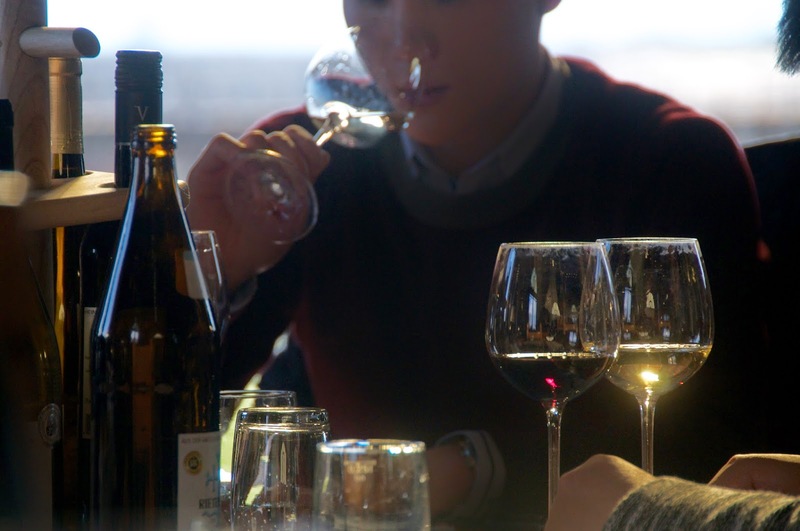 We also tasted Pinot Noir from different vintages to see how weather affected the wine. Thanks Konrad for a very educational morning. Lunch, beautifully presented, was prepared on a make-shift table by a renowned chef, another well-thought-out bit of hospitality from Konrad. 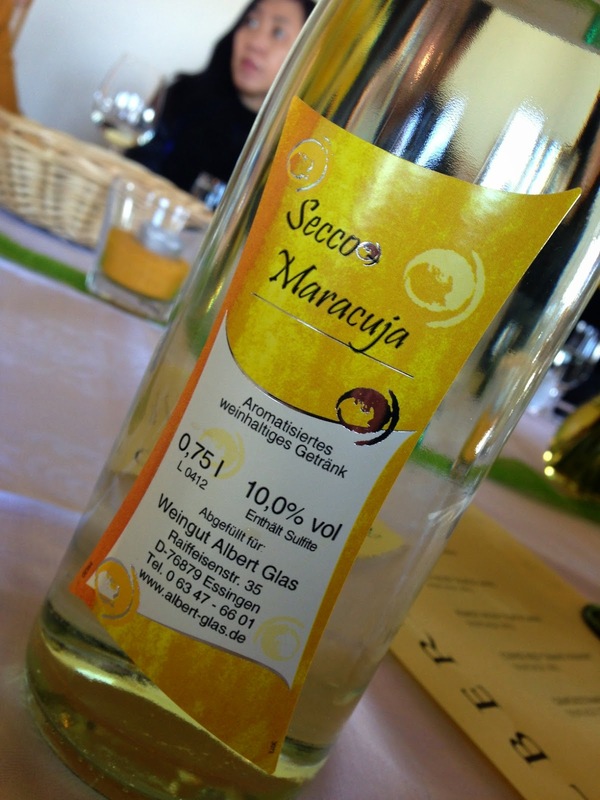 Yet another family winery, now in its third generation, run by Joachim Heger. 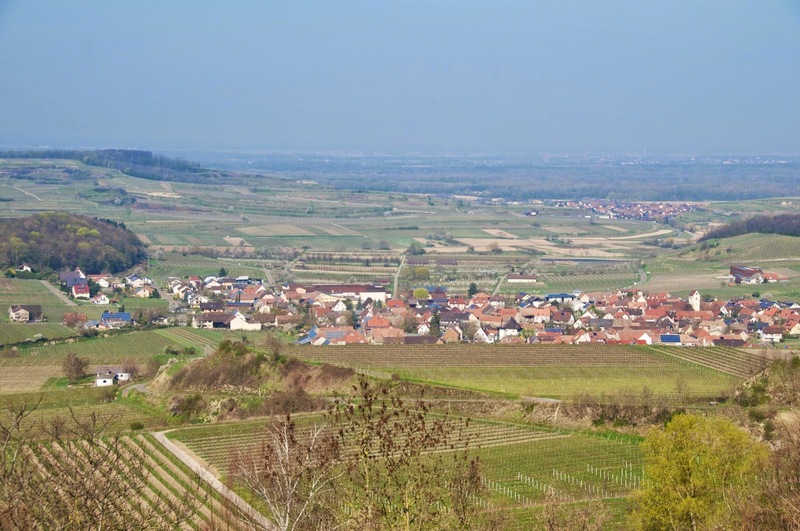 The vineyards are located at Ihringer Winklerberg and Ackharrer Schlossberg, considered the warmest vineyard areas in Germany. The ripeness of fruit in the wine is elegantly supported by the structure so the wine feels balanced rather than heavy. the same time, impart toasted aromas (vanilla, cinnamon, coffee, etc depending on the level of toasting). German winemakers don’t want the toasted aroma (particularly in their Riesling) so the barrels are instead steamed to take out the harsh wood tannins. I learn something new every day! VPD Erste Lage for its creamy mouthfeel (the result of lees stirring or battonage) and the mineral, slightly savoury taste (from the volcanic rock the vines are grown on). 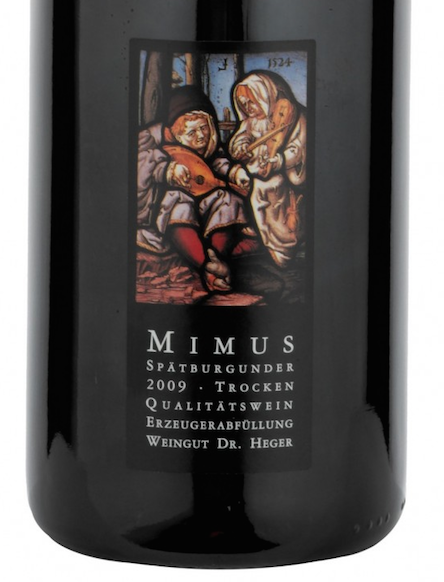 The Mimus Spätburgunder is in memory of Joachim’s father Wolfgang, whose nickname was Mimus and who passed away in 2004. The 2011 we tasted, also from the Ihringer Winklerberg vineyard, had intense black fruit and well integrated spices from the 18 months ageing in French barrique, yet a mineral touch on palate. An elegant wine that combined the best of Old and New worlds. Dr Heger is available from Schmidt Vinothek. Riesling no doubt is the king of wine in Germany, but don’t overlook other equally interesting wines! The intense white pepper from the Craggy Range Syrah that I tasted in their cellar at Gimblett Gravels back in 2008 was so pronounced that I finally understood why Syrah is so often characterised as smelling of white pepper. Since then, I have always kept an eye out for Gimblett Gravels Syrahs and they have not disappointed. This distinctive aroma can be attributed to the combination of the gravelly soil and the climate—free draining, warm days and cool nights. It is more akin to the Northern Rhone style than the full-bodied, jammy Shiraz from warmer regions. However, being New Zealand, the wine is more vibrant than Hermitage. To me, it is a perfect combination of climate, soil and winemaking technique. At last year Gimblett Gravels Annual Vintage Selection tasting, Tony Bish, Chairman of the Gimblett Gravels Winegowers Association, presented 12 wines—eight red blends and four Syrahs independently selected by Andrew Caillard MW—that best represented the vintage and the region. I was particularly impressed by the William Murdoch and Vidal Legacy Series. A couple of attendees remarked "... Gimblett Gravels is a fresh spring for me", and "...it was exciting to taste so many promising Syrahs from the region". I couldn’t agree more. If anyone is scratching his head about how to identify white pepper in Syrah, get a Gimblett Gravels Syrah and you’ll never forget it. It is my favourite Syrah! Once dismissed by sheep farmers as useless land, the Gimblett Gravels Wine Growing District is an 800ha vineyard area strictly determined by the gravelly soils laid down by the old Ngaruroro River in the Hawke’s Bay area of of New Zealand’s North Island. Believed to be the first designation for a winegrowing district outside Europe, it is now home to around 30 vineyards and is quickly gaining fame in the wine world. Not to be outdone by the district's Syrahs are its Bordeaux blends. They have the structure of a cool climate region but again with a New World fruit forwardness that many have described as elegant and sophisticated. Although some of the wines at the tasting were too young to drink, they nevertheless had concentration and ageing potential. Asked if the wines were released too early, Tony agreed but said the wines have been kept for two years and most wineries cannot afford to store them for longer because they need the space and the cash for the new vintage. 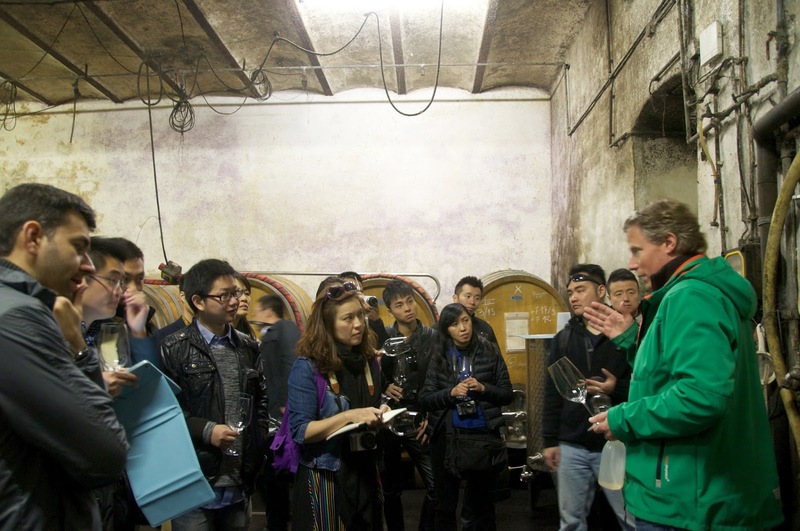 He hopes consumers can cellar the wines for a while to realise their full potential. Well, I suppose we have to be a little patient.